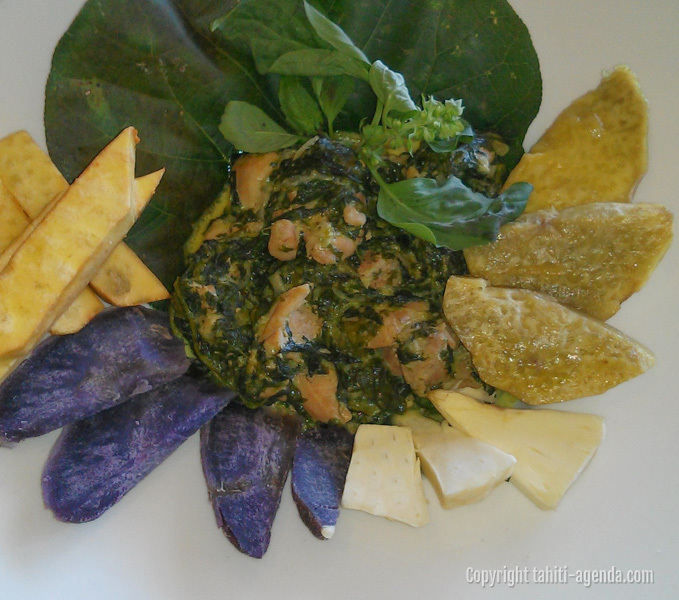 Want to taste the dishes that are most appreciated by Polynesians? 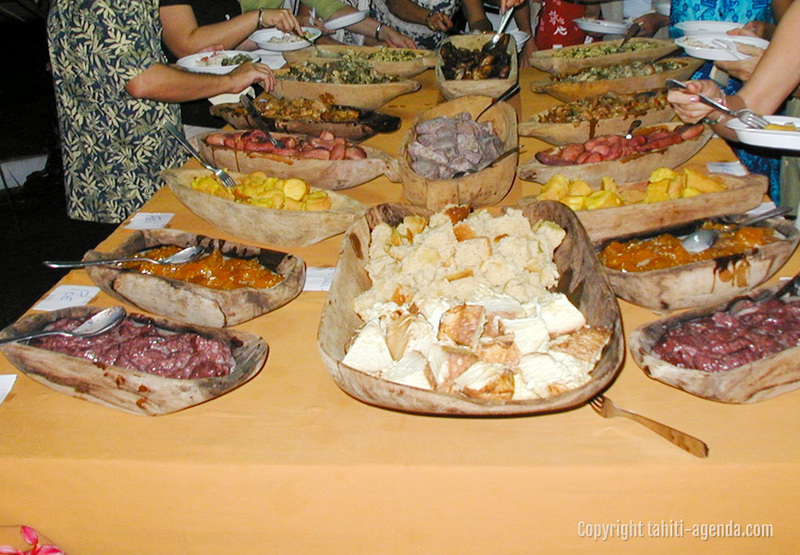 The culinary specialties of the Polynesians must absolutely be tasted. 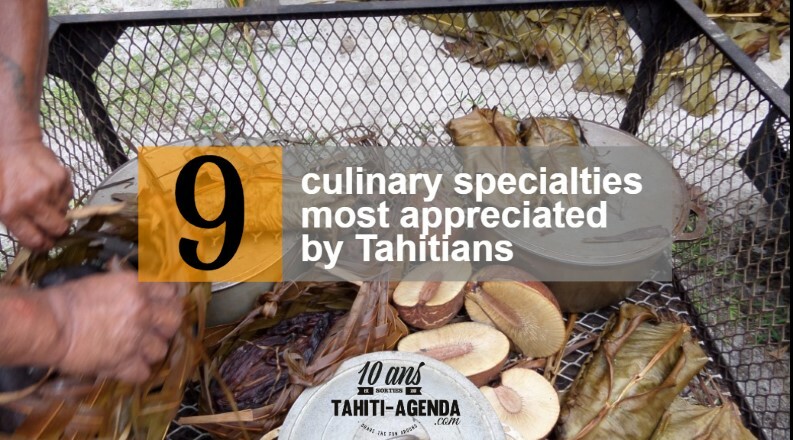 What are the 9 specialties that Polynesians love today? The Polynesians had a traditional diet based on picking, fishing, as well as pig farming. 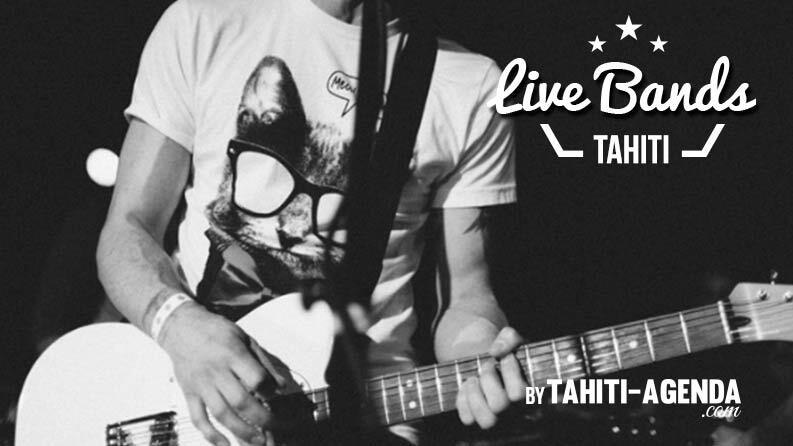 Things have changed since the discovery of Tahiti by the first Europeans. 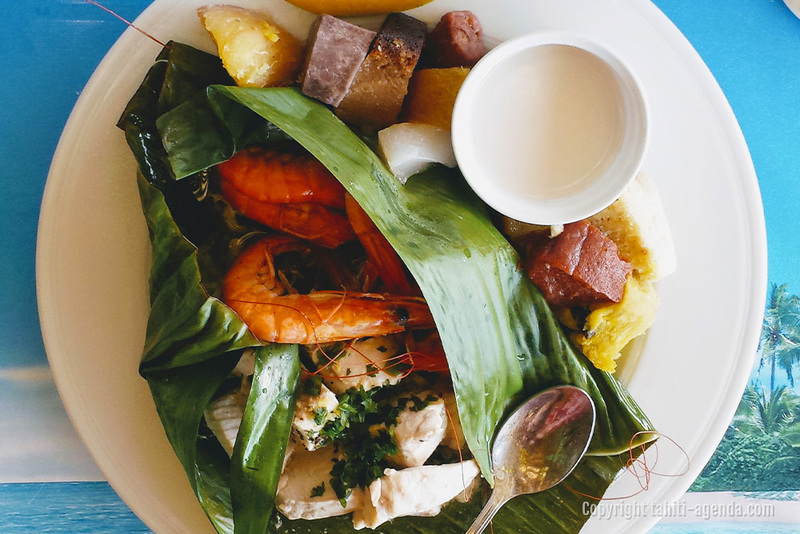 Nowadays it is a cuisine with French and Chinese influences that we can find in customs. 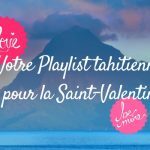 The team of Tahiti-Agenda.com based on the island of TAHITI would like to tell you what would be the 9 culinary specialties of Polynesia today. 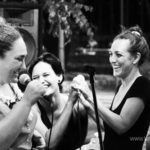 Tell us what your favorite specialties are by commenting at the bottom of the page. 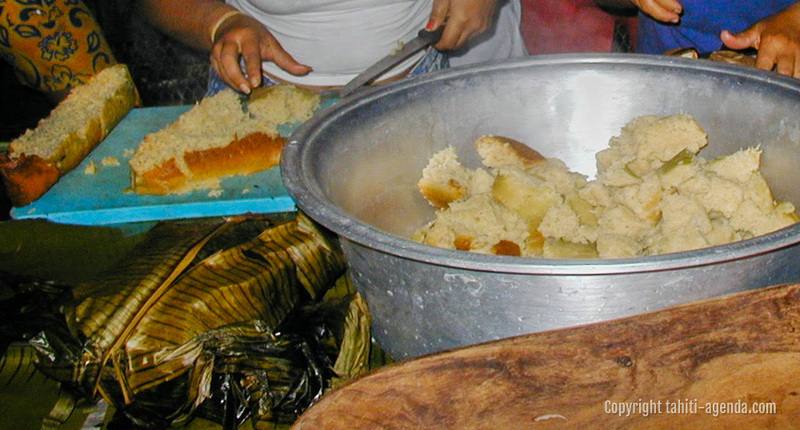 The ‘Ipo is traditionally baked in the Tahitian oven or Ahima’a and has the texture of a cake. 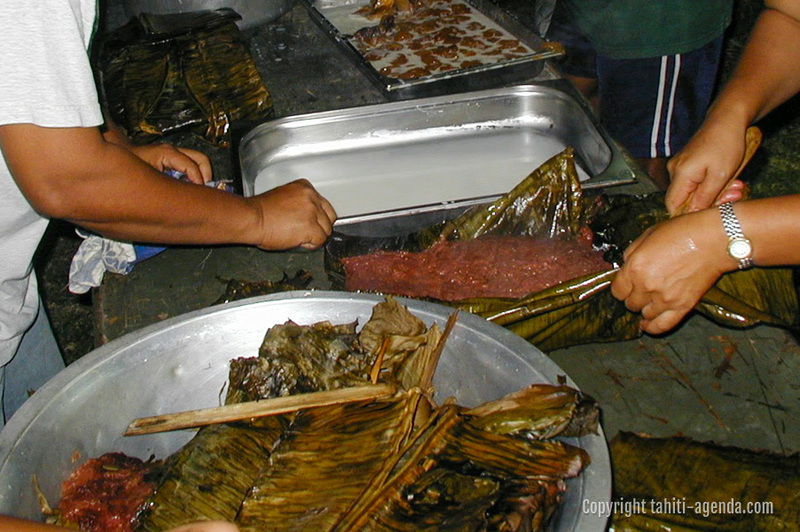 It is usually eaten during the traditional Polynesian meal. This entremet is a dish of choice usually cooked in banana leaves. After cooking, the entremet is cut into pieces and drizzled with coconut milk. Generally eaten as a dessert. 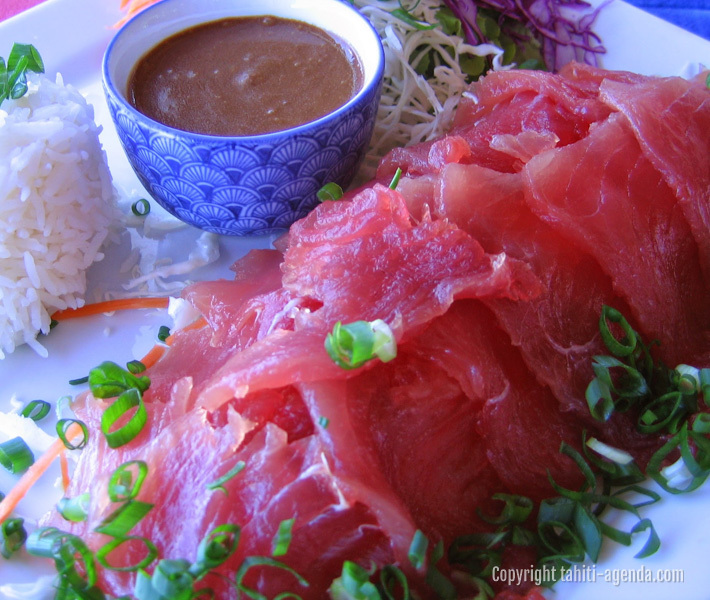 The quality of bluefin tuna in Polynesian waters makes this dish a must. 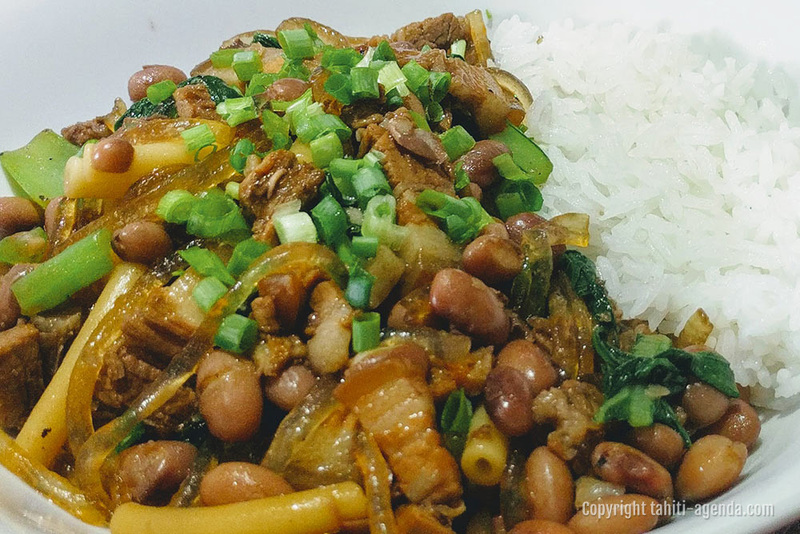 Accompanied with white rice and sauce, it is a real treat! Made with red beans, macaroni style pasta, ground pork and served with a bowl of white rice, it is a typical dish invented in Tahiti! A true culinary institution, Chao Mein originated in Asia. 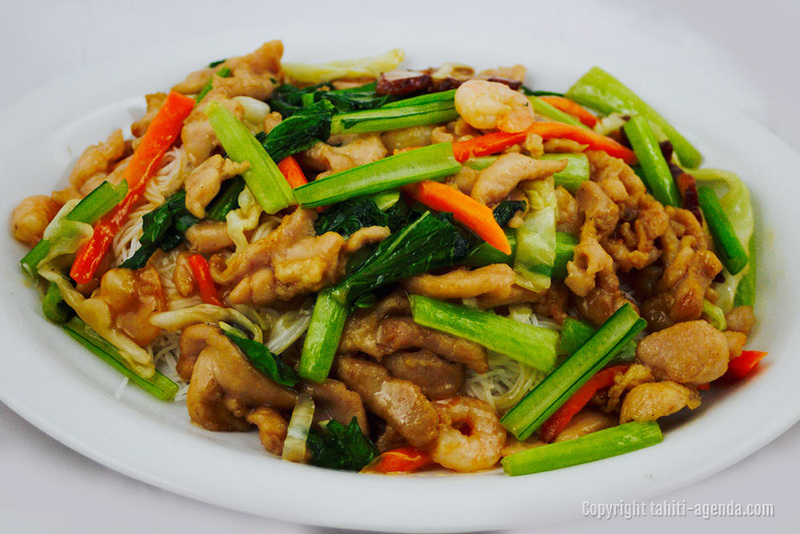 Made with Chinese pasta, meats, shrimps and vegetables, it is a dish that can be enjoyed on a “roulotte” or in a restaurant. 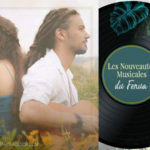 The local shrimp or prawn of the peninsula of Tahiti is a delight !!!! 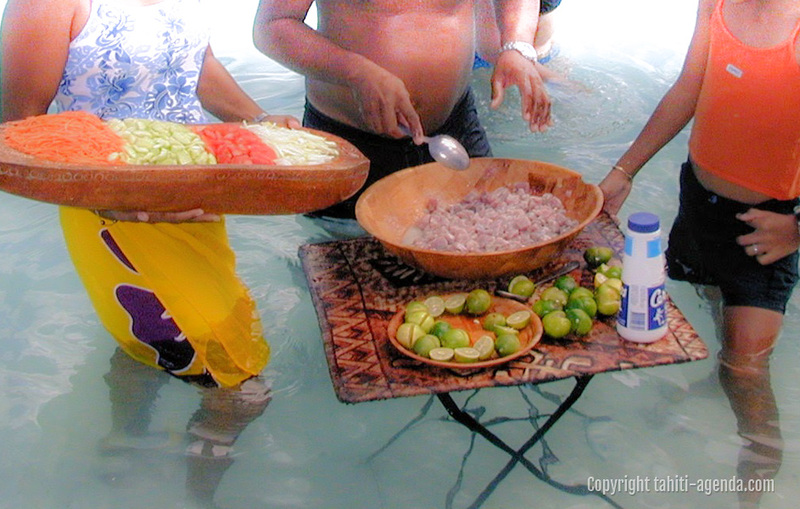 These foods are part of an ahima’a (traditional meal). A delight!